Thank-you to all the alumni, faculty, students, and friends who made our September 20-21 Centennial Celebration an enjoyable weekend! 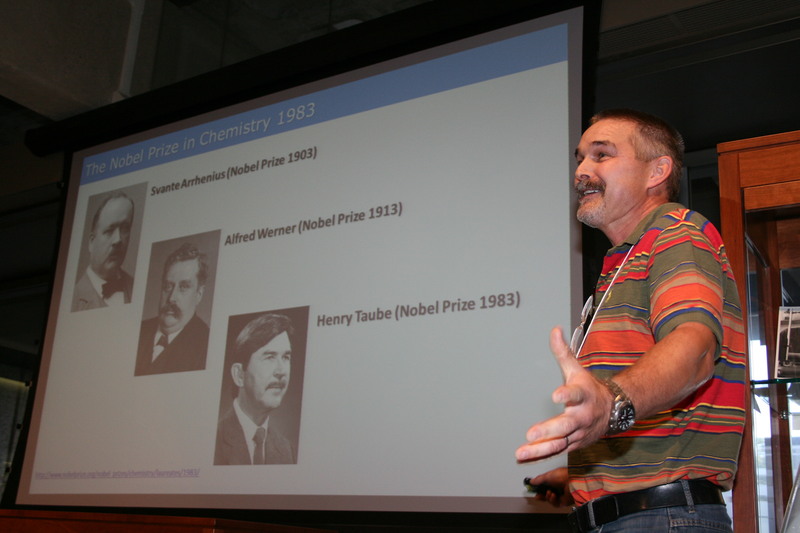 Friday we celebrated and displayed Henry Taube's 1983 Nobel Prize in Chemistry, and got to see what our future alumni are working on for their undergraduate research projects here in our Department. On Saturday, we heard some historical perspectives on the Department from Dr. Palmer, who talked about the founding of the Department and our very first graduates of 1913, and Dr. Steer, who described the changes in the Department he had witnessed firsthand over the last 50 years! We also heard career scientific and personal retrospectives from Professor Mike Mombourquette of Queen's University and President Alaa Abd-El-Aziz of the University of Prince Edward Island, as well as descriptions of the science and technology being pursued by Dr. David Rabuka of Redwood Biosciences and Holly Severin of Nova Chemicals. And the perfect end to the afternoon was a lesson in modern beer brewing from Patrick Fiori of Clocktower Brewery. Thanks again to all who made this possible! If you couldn't make it, but you want to let us know what you are up to, please send us a note. Right: Speakers at the Alumni Centennial Celebration. 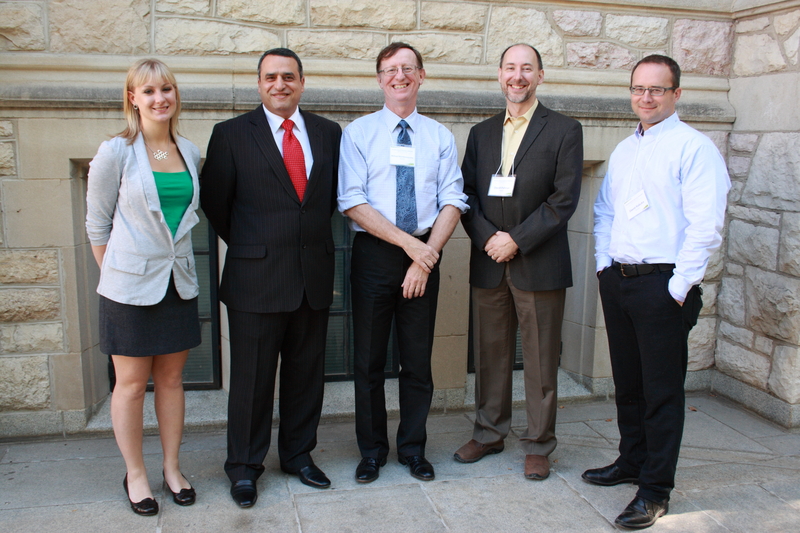 (From left to right): Holly Severin, NOVA Chemicals; Professor Alaa Abd-El-Aziz, University of Prince Edward Island; Professor Michael Mombourquette, Queen's University; Professor David Palmer, University of Saskatchewan; Dr. David Rabuka, Redwood Biosciences. 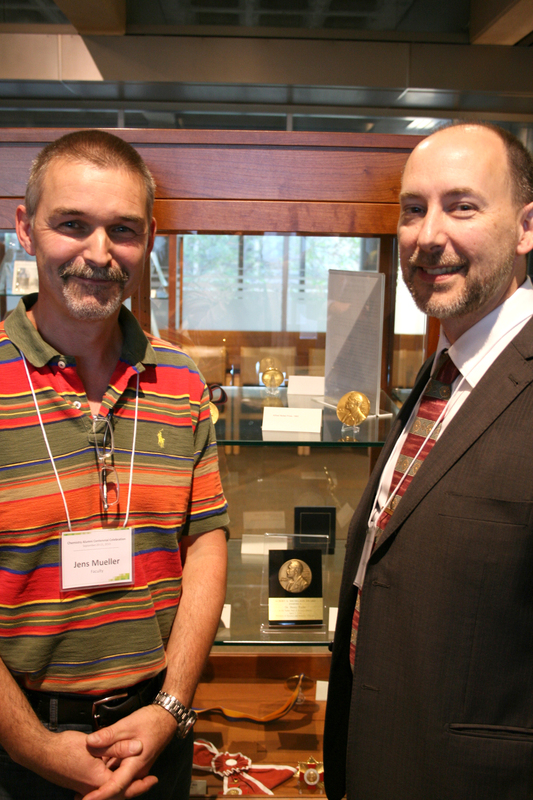 Missing from photo: Brewmaster Patrick Fiori, Clocktower Brewhouse; Professor Ron Steer, University of Saskatchewan.